Born in the early 60's in Brazil, Bossa Nova was responsible for the fusion of Brazilian rhythms with the American jazz accent. Bossa Nova gave new expression to the great richness of Brazilian musicality, with its songs talking about love and social themes, always with that Brazilian way of living. All this musical history you hear in Bossa Nova Hits, the great classics and what is newest in the Bossa Nova world. 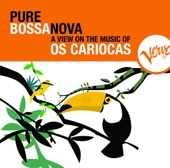 Listen to Bossa Nova Brazil on your smartphone for free with the Android or iOS application!